At Galleria Liqueurs, variety is the spice of life, so we're always adding new additions and updates to our inventory! Check back weekly to see some of our latest selections and on sale items. SALE: bUY ONE FOR $19.99 AND GET THE SECOND FOR $10 MORE. Throughout the year, Galleria Liqueurs stays active in the community, sponsoring events from wine tastings to beer samplings, to local food samplings to fortune readers. Most events are even free! You can check this page regularly, sign up for our email alerts, or follow us on social media for the latest in events! FREE WINE TASTINGS? WINE NOT? If you are curious about our claims, stop by every Friday 5:30pm to 8:30 pm and Saturday from 3pm to 6pm at either of our locations for a free wine tasting! You can also check our calendar for other tasting opportunities. Galleria Liqueurs is happy to announce we're hosting wine classes! Classes will be held the first and third Wednesday of every month at our Southport location. Class is from 6pm-7:30pm and the cost is $15 per person or $25 for two people. Please call to confirm your reservation! Our Wrigleyville location offers a craft brewery-focused program we've dubbed Craft Beer Hole. We offer a wide variety of hand-selected microbrews that can fit any taste or budget. We also have a large selection of gluten free craft beers and ciders! Oberon is the color and scent of sunny afternoon. THREE FLOYDS BEER- A wide variety including Zombie Dust. 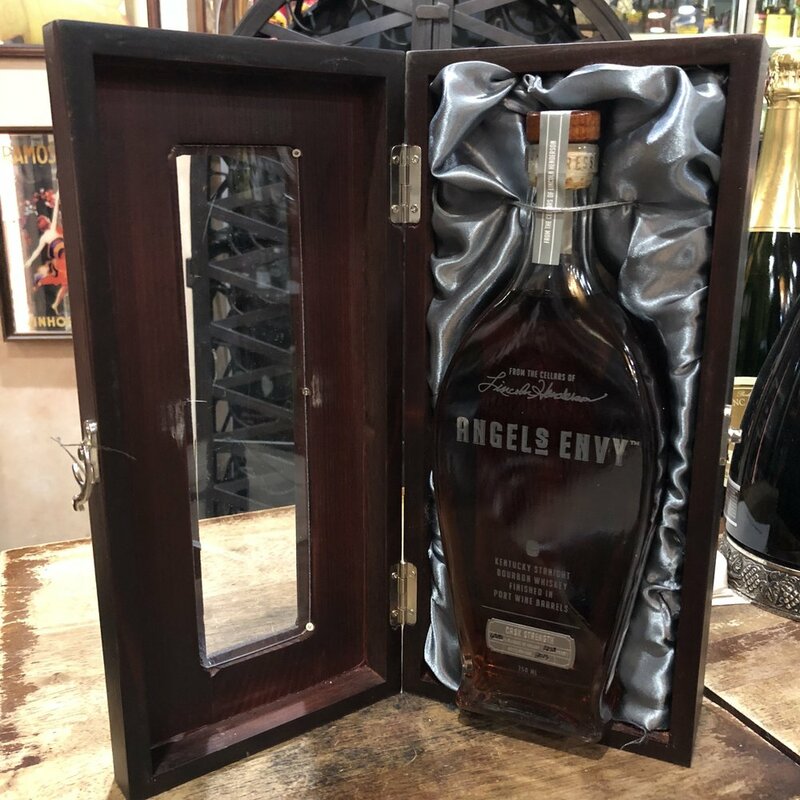 Check out some of the most rare and exquisite bottles of wine and spirits in the world at our Wrigleyville location. Come see for yourself! Bottle: Handcrafted crystal bottle with an obsidian center, bronze metal labels and bronzed metal cap. With henequen agave-styled neck. "Luxury Edition". Aroma: Incredible scents of herbs and mint. The aromas from the American oak barrels are well balanced delivering a dry, fruity aroma excellent for the palate. Made entirely from the grapes grown on Taylor Fladgate's own properties, Taylor Fladgate is one of the few remaining houses which still produces a 40 Year Old Aged Tawny Port. 127.9 proof and is aged up to 7 years. Aged in port barrels. There are 7,500 bottles in the 2015 release.